Although organic foods may be more costly, eating clean does not have to be. You just need to plan your meals and store your foods properly. Last week I purchased a weeks worth of food shopping for me & my partner, there was absolutely NO processed or man-made products in there. In fact, it was more than a weeks worth, as there was several things in there that would last a lot longer. The total bill, £42.00! Now, I know to some people that may sound expensive, but if you are putting a price on your health, and the health of your family & children then maybe you need to reassess your spending priorities else where! Because I know for a fact that some of my clients have said “oooh that’s a lot”, but then they have happily spent £52 on the latest computer game, and £35 on a take away for the family……. do you get my point??? Anyway, here are my tips on eating healthy on a budget! Establish your weekly/monthly budget. Know what you have to spend and make your shopping list fit. Prepare your meal plan for the week so that your can write your shopping list accordingly. Don’t tie yourself to one store. Pick & choose where you shop! In the UK you have the option to shop at the budget stores, and believe me their food is every bit as good as the main four supermarkets (sometimes better!). Fresh Veg & Fruit can often be purchased at the local markets and at a better value per kg than some supermarkets, so check out your options. Purchase meat to freeze and store, don’t just pile it up in the fridge and let it go out of date. Make sure that your portion sizes are suitable and not too big, this will help food last longer AND work towards your weight loss goals at the same time. Don’t be sucked in by special offers. If you do not need something do NOT buy it. Avoid pre-packed foods! It will only act as temptation to deviate from your plan. Shop online line if you are easily led, and stick to your pre-planned shopping list! Reduce your eating out bill. If you enjoy take outs or meals out, or even just drinks out, see if you can reduce this cost, as all of these things will add to your calories and slow down your weight loss. Make foods that will last. Use your left over vegetables and meat to whip up a stew or soup that you can freeze for another day. Make sure that you don’t throw food away that can be used! Do you really need a whole bottle of Prosecco every night? Look at your alcohol consumption. Remember that alcohol is highly calorific and can double, and in some cases triple your calorie intake for a day. Start to look at alcohol as a treat, not as a relaxation therapy! Much of the process of shopping on a budget is common sense, but I know so many people will only shop in ONE particular store. Stop it! shop around! Get more for your money & start eating a cleaner healthier more nutritious diet today! Why not download my FREE Recipe Ebook today and see what kind of culinary delights I have conjured up in the Kitchen for you in the past. Each recipe has full Instructions, Ingredients, Calorie Value and MacroNutrient Breakdown. It took some time to put it all together, but there is some lip-smacking meal options in there. Just try putting in a little bit of effort, and you will be repaid ten fold. Your body will look and feel better, your concentration will improve, your energy levels increase and you will feel generally quite Awesome! But there is more, if you like what you see in the FREE EBOOK, then why not check out the Awesome Kitchen Club? A monthly club that costs next to nothing, but gives you a plethora of healthy, simple & delicious recipes EVERY single month! 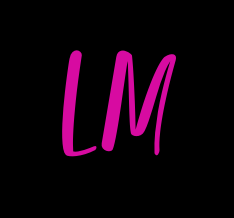 If you have any questions about this Blog, then please feel free to email LM Fitness at info@lmfitness.info we are always really happy to hear your thoughts! Plus, remember if you have found this blog helpful or useful, Share it with your friends and subscribe to receive news of when we post new articles! You can also follow us on Social Media using the links to the right! 20-Minute Tabata Workout for Fat Loss!